On March 1st, 2019, Amari Ebbin will attend a professional trial for Kent County Cricket Club. This is the result of many years of hard work on the cricket pitch in England and Bermuda; this work begin in earnest when Ebbin played his first full season of senior cricket at Warwick Workmen’s Club in 2016 averaging 30 runs. During the 2016 season Ebbin was chosen as the First Division Player of the Week after a knocked of 92 not out, one of Bermuda’s most decorated senior player noted it was one of the best knocked he had seen by a 17 year old as he gave no chances. In 2016 Ebbin attended Sedbergh School in Cumbia in the United Kingdom, where he was recruited by Martin Speight the Head Cricket Coach and former County player. 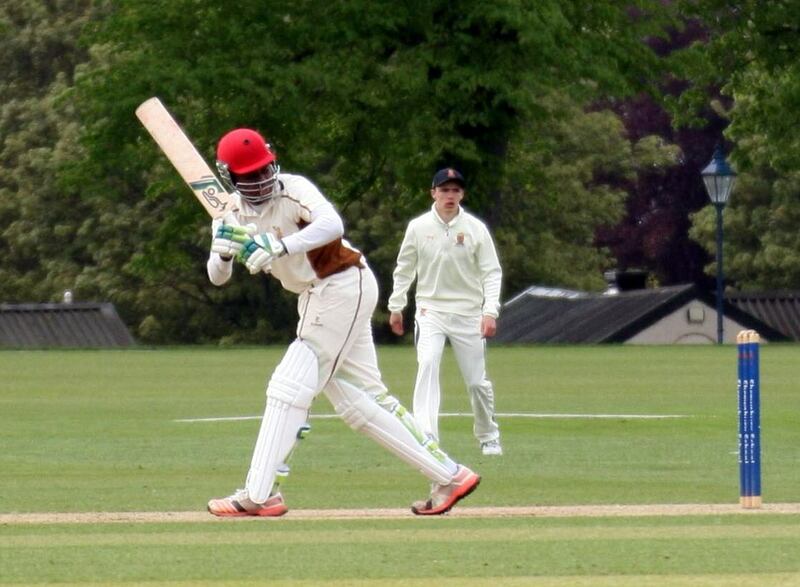 Amari spent 2 years at Sedbergh training in their top ranked elite Cricket Academy, which produces professional players every year including the likes of Harry Brook who recently captained England’s U19 team whom Ebbin had the opportunity to train and play with during his stay at Sedbergh. In 2018, Ebbin was selected as a starter for the 1st XI, cementing his place as an opening batsmen. This was a successful season as he was the 3rd highest scorer with several over 400 run on all competition, held the most catches as an outfielder and played key innings throughout the year, most memorable was the Bows Cup and a match against the Lancashire County Academy. In 2017 Ebbin decided to remain in England for the summer and joined North Middlesex Cricket Club in which he was slotted into the 3rd team of the Premier league, a few levels from County, and enjoyed success with both the bat and wicketkeeping gloves. In 2018, he was a trump card for the 3rd teams run at the league Cup which he played key innings, helping North Middlesex to win two title chasing games with key stumpings and a well-made 40, that lifted the team to 200 after being 80 for 5. During the last two summers Ebbin trained with a professional coach Auckland second team player James Poslow, several England under 19 players and Middlesex County players where he gained a lot of match experience and improved his batting and wicket keeping skills. In 2018 Ebbin played three T-20’s in Bermuda where he average around 50, scoring over 100 runs and one not out. In September 2018, Ebbin relocated to Cardiff, Wales to study Aerospace Engineering at the University of South Wales. He has continued his cricket and trains at Glamorgan County Cricket Club and All Square sports. He has spent the last six months working with Ali Bahkari former Middlesex and Derbyshire County cricketer and level 3 ECCB coach, Start Grimould level 2 ECCB coach and a Glamorgan County Cricket specialist coaches and Kevin Lyon former Glamorgan County player, MCCU Coach and Somerset and Glamorgan CCC scout. Together these coaches are working with Amari to developed his batting and keeping game to help him reach his goal to become a cricket professional. Kevin Lyon, the coach of Cardiff Cricket Club Premier team, recruited Ebbin to Cardiff for the upcoming 2019 season, where Ebbin is been given the opportunity to make the 1st team Premier team. Ebbin is currently in preseason training with the club as they prepare for the upcoming season. This club takes a professional approach to cricket and can only assist in moving Ebbin’s game to the next level. Ebbin is currently preparing for his trial at Kent but stated, “Regardless of the result I will continue to work in Cardiff on my batting, keeping, fielding and physical fitness, as I prepare for my 3rd season overseas. I would like to thank all those who have supported me thus far, my parents, and God for giving the opportunity to work towards my dream”. Amari Ebbin from Southampton Bermuda the son of Arthur and Laveta Ebbin. Ebbin professional dream is to become an Aeronautical Engineer.